This vintage fabric is groovy and fun and reminds me of the Brady Bunch! 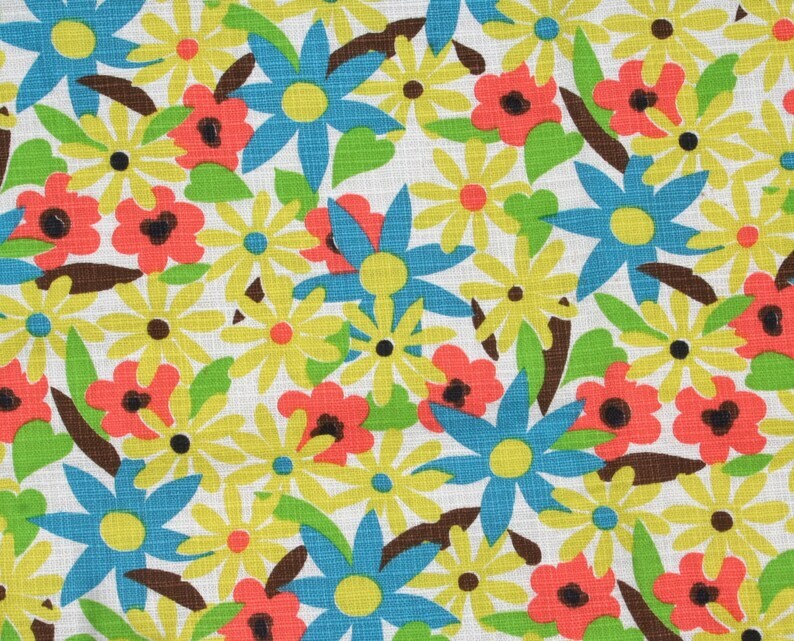 It is a medium weight woven cotton with daisies in turquoise, bright yellow and orange. There are some accents of lime green and brown. This fabric is sturdy enough for light upholstery. Exact measurements are 35 inches selvage to selvage by one yard (36 inches). If you would like additional yards please use the quantity button. This fabric is in excellent as found condition. However, it does have a musty smell from long term storage. This fabric will definitely add pizzazz to your life!